I read this article and found it very interesting, thought it might be something for you. 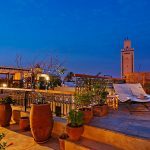 The article is called 15 Nightlife to Enjoy in Morocco and is located at http://trip-n-travel.com/listicle/22483/. Since Morocco is an Islamic state in which the significant proportion of its citizens are mainly Muslims, who deem the consumption of alcohol to be immoral as per the holy book, finding a liquor joint can be quite a hustle. Still, not all that go to the ancient Rome do as the natives do, and thus, cool hanging out rendezvous are available where fans of the wild nightlife can lose their wits out. The fancy hotels and exotic suites are also an alternative if you want to luxuriate in drinks yet avoid the craziness of the bars and lounges. A few select options have been looked into below. Pub Cala Iris is quite popular among the locals due to its unique architecture amidst the conventional Moroccan designs. It’s typically a double floor English set pub set afloat right at the heart of the active region of Ville Nouvelle. You can simply scout out the lower deck (downstairs) and grab yourself a nerve-waking refreshing beer. Or, you can spice the game and hop higher up on the upper floor and lavish in the classier atmosphere. Many argue that it’s the best nightclub in the whole of Morocco since the year 2003. Well, one would say that these are just stats. But, nobody can fail to see why as their grand events are hosted night after night. Dissemination of such information is also top-notch as there are professionals who know how to make such news go viral in bids of seeing the club buzz. You have to reserve seats in advance though or else you might complain that the set up inside is bad. A ladies night goes down every Tuesdays, which is very classy and fabulous, Grand Bazaar on Wednesday and I hate Mondays on every ‘day-1’ of the week. Just the view here will make you levitate. Nikki Beach is a super-composed oasis with an alluring vibe set at the very center of Palmeraie back in 2005. The overall atmosphere is astoundingly conducive and it present to guests, an opportune moment to have some quality time in this glamourous ‘Red City’ in a fashionable and luxurious manner. The languages spoken here are Arabic, Berber though common languages in the likes of English, the widespread French and bewitching Spanish are also deeply-rooted. Well, this sector is for the film gurus and addicts. The technological advancement in this side of the globe is undoubtedly astonishing. A few comrades joked about 7D in Morocco. Apparently, we’ll all say they are clumsy, but wonders never cease you know. And you won’t know for certain where it’s a mere illusion or a reality till you set foot in the mesmerizing Moroccan Cinemas. A few well-known theaters include the Cinema Eden Club, Cinema Atlas, and Cinema Imperial. Join the select few that get to lavish in the vibrant atmosphere of the lively city of Marrakech over the span of a 3-day city break. Here you get to have a feel of the city’s rich culture as you revel in captivating live musical performances and unique North African dances in the buzzing nightclubs. Take a brief tour as well of what the city has to offer and hop into the different clubs while devouring hot international breakfast and sumptuous dinner at the city’s best night-hangouts. A welcoming party awaits you on day one, feasting and a mega-discotheque on day two, a free third day buzzed with African style discos and an organized transfer on the final fourth day. Have some quality time at a private and authentic cooking class in the royal city of Fez and grab the opportunity to be enlightened on how to prepare the recipes of the delicacies of this North African state. Secret recipes of the ancient Moroccan folks have been passed down from generation to the next in this Moroccan imperial city and with the 3-hour class, you will fall in love with the cooking as well as the foods themselves. A private guide will pop-up and pick you up from your residing Riad and then taken a local house to see all that you can work on, then to the groceries to pick all you need and then accomplish the mission by doing what’s needed. What’s not to adore? Moroccans do refer to it as the sole driver of this exemplary city. This famous meeting spot comes to life after the sun nobly sets and after prayers to the Almighty have been made. Entrepreneurs from all corners convene here, and stalls are brought to life as well. The nights then gets funny, busy and enjoyable. It, thus, turns out to be the prime venue for opportunists and businessmen, musicians of all sorts, rare magicians, entertaining storytellers and souvenirs dealers of all calibers. The adventure commences during the day where pros will pick you up from your residence, at quarter-to-two for a hammam retreat. With argan oil in place, you will cherish a 1-houe exclusive massage. At precisely quarter-to-five, you’ll be transferred back to your vacation domicile having had a share of the ‘a thousand blessing carrying oil’ massage. The adventure will resume at night, 7.30 to be precise, where you’ll be picked up again for a first-rate Fantasia dinner show, a bewitching harmonic evening under the lustrous theme of a-thousand-and-one nights. You can savor in the world recognized cuisines of Morocco as well. Damn! What a gluing view! Those are going to be your words upon your first view of at this dashing chill spot. This excellent place should be on anyone’s schedule while visiting this medieval city. Exquisite throughout the restaurant is the comfort as well as the style of the site itself. Wall-to-ceiling winds and a grand piano are a few of the pampering feature in this boastful lounge. The cocktails are as good as they come and the staff is quite welcoming. The only hurdle that you should expect are the somewhat pricey drinks offered, but you can hit the place loaded enough to avoid any cash shortages. It simply sums Rabat’s nightlife. The music is the soul of it all and thus is quite on-point. The drinks, though surprisingly expensive, do live to their standards and the general design isn’t bad at all. To create a perfect blend for the natives and the passers-by, mainly tourists, both European and Arabic tunes fill the air. For those who are completely swept off their feet by the club, they do refer to it as the American-style discotheque right at the heart of the state capital. The décor is high-class, the deejay is so dope and the service is complimentary. The craziness never stops. And for the Moroccans, good music and beautiful food and drinks creates such an impact. Set in one of the hippest localities of the busy Casablanca, Le Mynt lounge has all the distinct aspects of a cool night-out club. The environment itself is more like that of states in the U.S., and the cuisines are just trendy. The service is commendable, air-conditioning provided; wine cellar is right in place, and karaoke puts the rubber stamp. There is also a satellite TV to keep you company while you are sipping your drinks at the club. This is the hottest Philadelphia spot for lucrative adventure on lovely cuisines, top-notch hookah, and excellent entertainment. An enjoyable and relaxing time with hookah, plus a frenzy of excitement from experienced belly dancers lights up every Friday and Saturday night. Be it a romantic night out, just fun with close acquaintances or a treat for a birthday event, Fez Lounge is the right spot for it. The genuine Morocco culture gets displayed here, and you get a chance to bask in it as well. 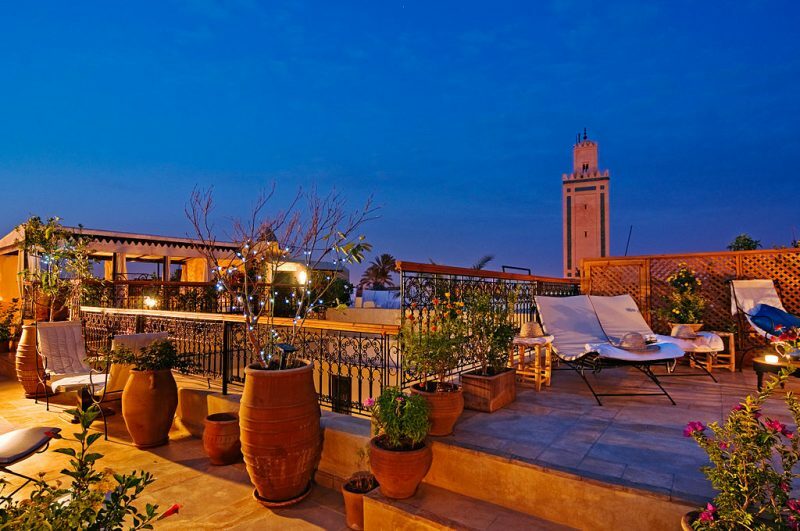 Reservations as well to avoid any inconveniences can be made at the magnificent Fez lounge of Morocco. Now this is a high nightlife spot will all that there is to it in just one place. Think of that fancy hotel, the glamorous bar, not to mention the upscale piano bar and the secluded cigar bar. A French restaurant alongside a Moroccan one is also set in the same vicinity. In the proximity as well are a heated pool, both indoors and outdoors, a professionally-run spa and a kids’ fun place as well. As you turn to the drinks and the flavored shisha, you can enjoy the high-speed internet on your smartphone as well. A mastery of blending different flavor of life is exhibited here. It doesn’t swim in the league of the big fishes, but it’s great. Drinks are terrific; staff is humble and hospitable though the prices are a little bit high for the club stature. The chairs are big enough, and the jazz music is playing in the background suits the occasion. Tea served depicts the Moroccan culture and tapas are only incredible. There are singers as well, American ones inclusive and they do sing so fabulously. With Cantobar, karaoke is brought to life in Marrakech. The welcoming is warm and fun is superbly high. You get to listen to favorite tracks and clear your vocals with the alluring karaoke. Imagine getting on the stage and singing while you’re super high? Well, you also don’t have to be as it is a karaoke for all. What singles out this classy joint is the fact that even the owner, Nezha, sings and with a deep passion and a melodious voice. For the drinks and light foods, you need not a commentary on them. They are so select and from a different planet.